Hardly apt for Autumn… but if you’re clinging on to the last remnants of Summer, these shades could be for you! Both are *incredibly* bright and neither of the samples I was sent came without their application issues. Streaky and thin… 4 coats were required for each to achieve an opaque finish. As with most neons, these dry semi matte (and kinda ugly), they need a glossy top coat to bring out the shine. 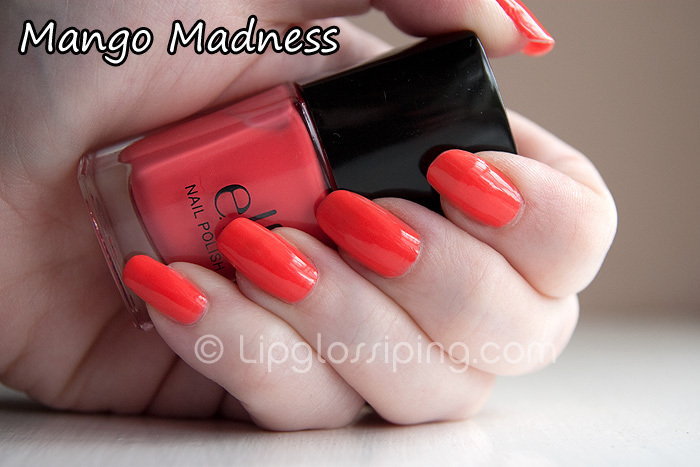 Passion Pink, as I’m sure you can see… is far more coral than it appears in the bottle and Mango Madness somehow manages to look almost creamy despite being retina burningly bright! As usual for E.L.F polishes, these are priced at £1.50 each and available online from the website. Bloody hell that’s bright. Not sure I could pull it off, but both shades look great on your skin! These are lovely colours…however I fear that I can’t get away with wearing neon without without feeling like a right 80’s disco biscuit. Maybe I combine it with black so it’s a bit disco goth! hmmmmmm! WOW! I love these shades, off to buy them (if they are in stock..) when the next discount code is out. Wow, they are both so bright and beautiful! Wow they’re both so bright!! I like them though! I have passion pink and the mango madness. I’ve worn the Mango madness but mine’s not very bright but I like it. 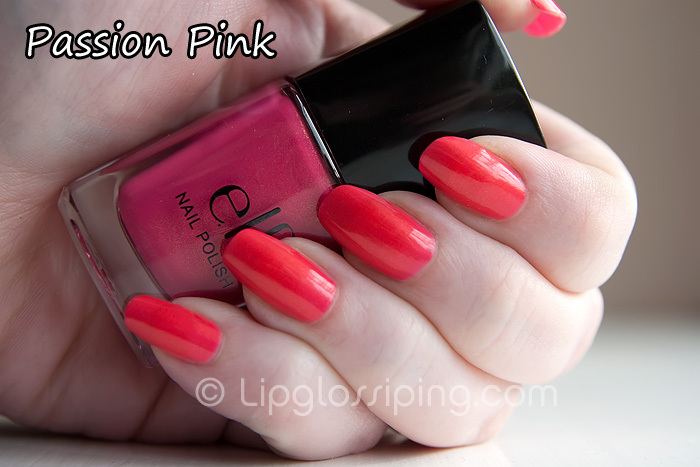 But I’ve not yet worn the passion pink yet I think I might put it on my toes and wear wedges with them. Hope its going to be sunny.